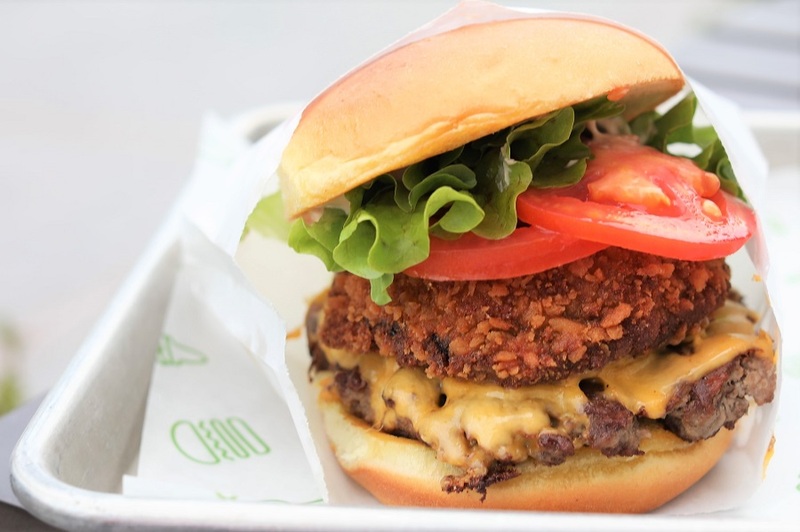 ”Like quite empty, so didn’t feel like it.” The same friend said he would queue for Shake Shack Singapore when it opens at Jewel Changi Airport. 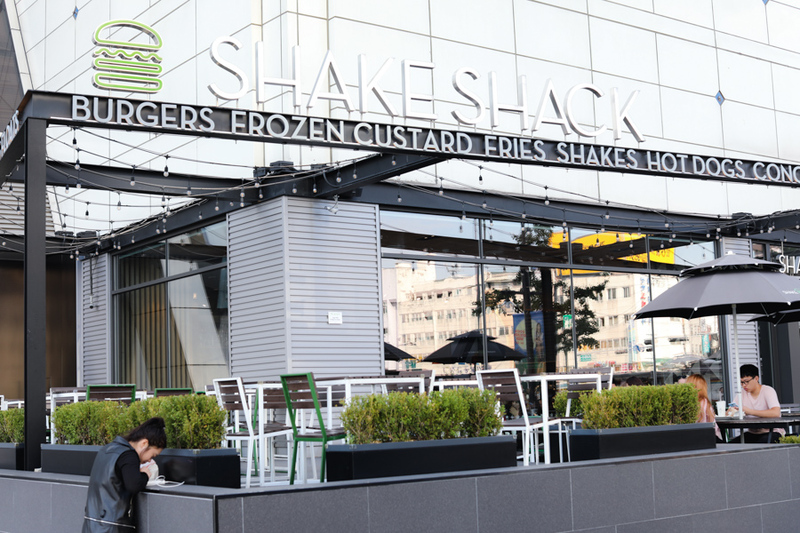 Shake Shack is a fast-casual restaurant known for its 100% all-natural Angus beef burgers (no hormones or antibiotics), griddled flat-top beef hotdogs, crispy crinkle cut fries and fresh-made frozen custard (like a milkshake). 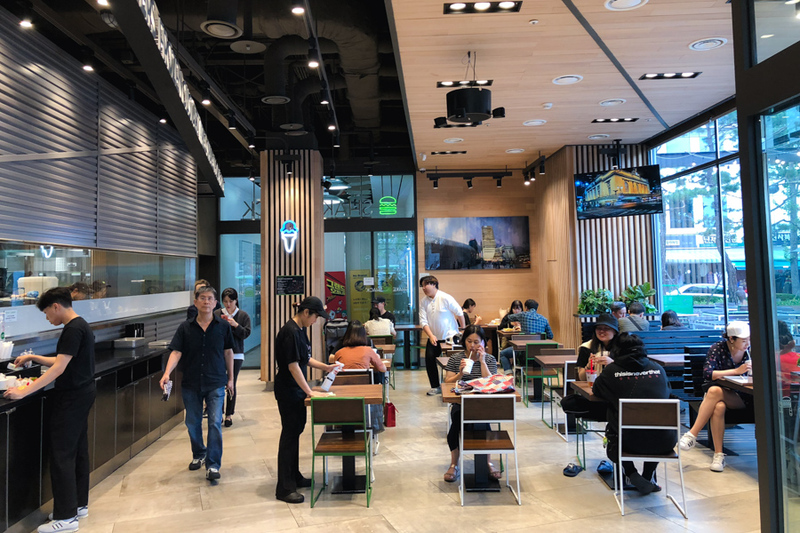 The Korean outlets is managed by the SPC Group, which is also behind bakery brand Paris Baguette, and known for introducing global brands to the Korean market including Baskin Robbins, Dunkin’ Donuts, Caffe Pascucci, LINA’s and Jamba Juice. 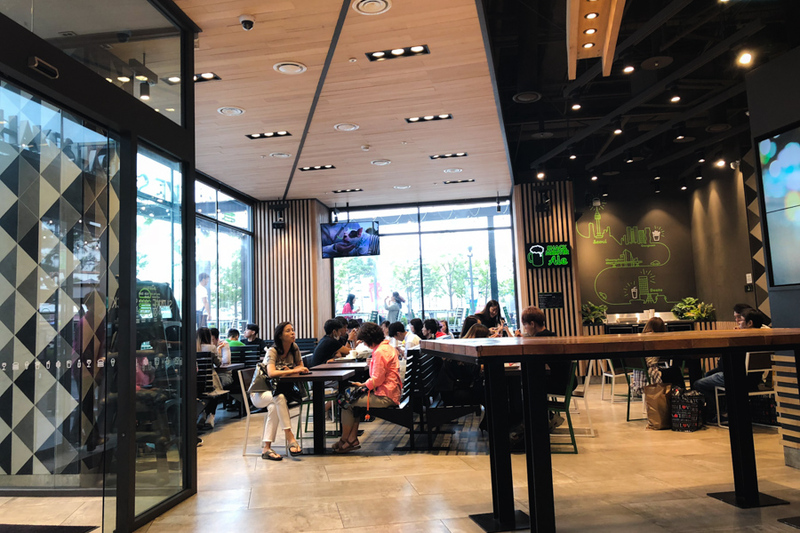 The chain has a number of branches in Seoul, from the flagship at Gangnam, to others at Cheongdam, Bundang, Starfield Goyang and Central. 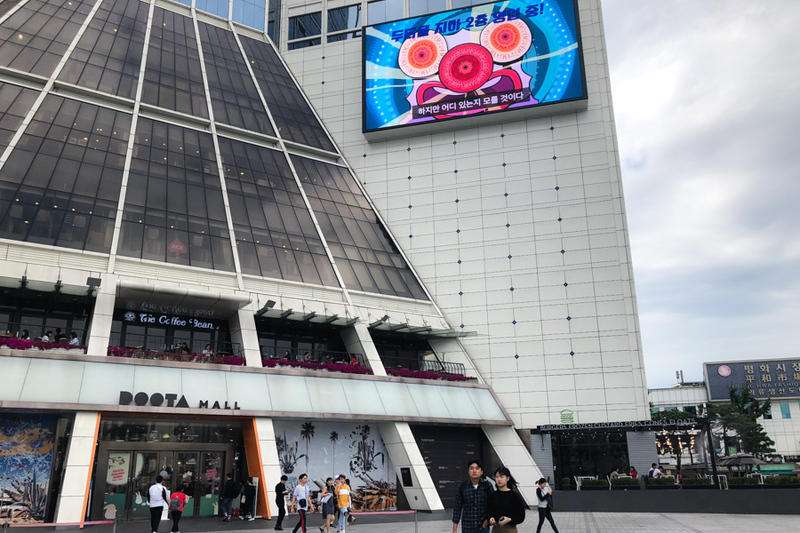 One of the most convenient locations is at Doota Mall – the fashion mall known for its trendy clothing and accessories that opens till 5am on most days. 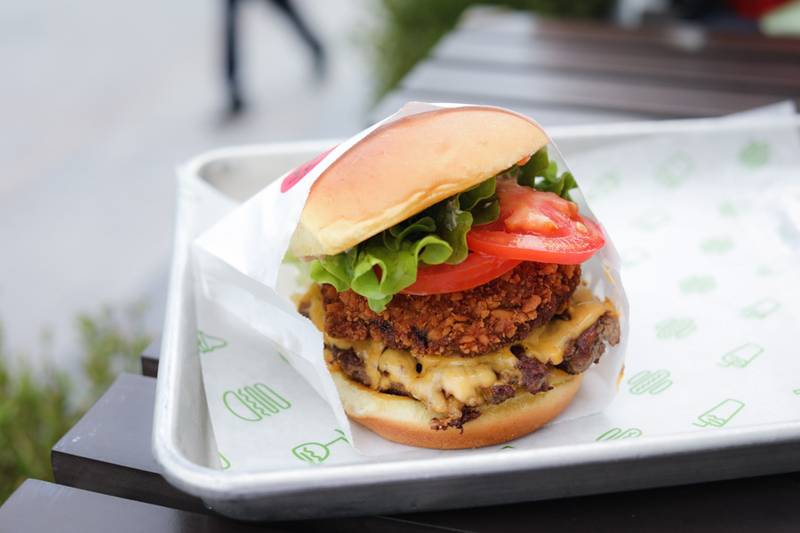 Unfortunately, Shake Shack there opens ‘only’ till 11pm. For a touristy spot, I was surprised that the outlet wasn’t THAT crowded, with a relatively short queue and ample seats. 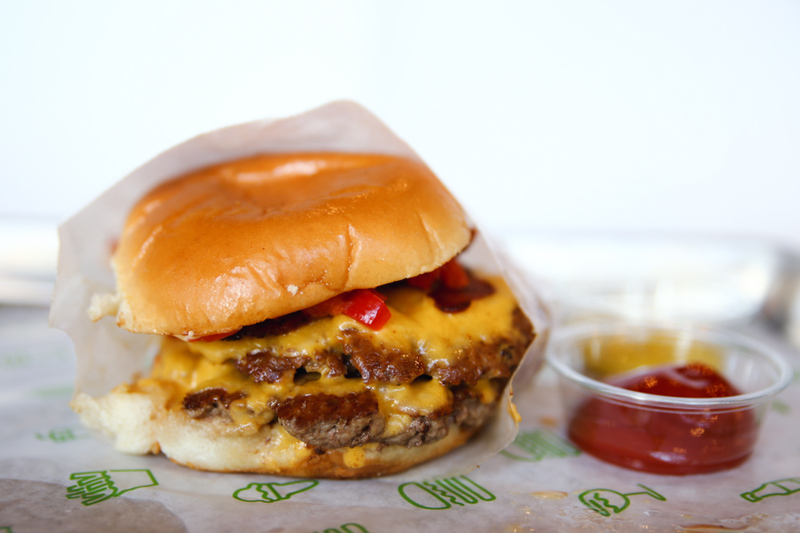 There are 5 main burgers available, the ShackBurger, SmokeShack, Shroom Burger, Shack Stack, and Hamburger. There are priced between 6,900 Won to 9,400 Won for a single, and 10,900 Won to 12,900 Won for a double. (6,900 is SGD8.20 or USD6.05). 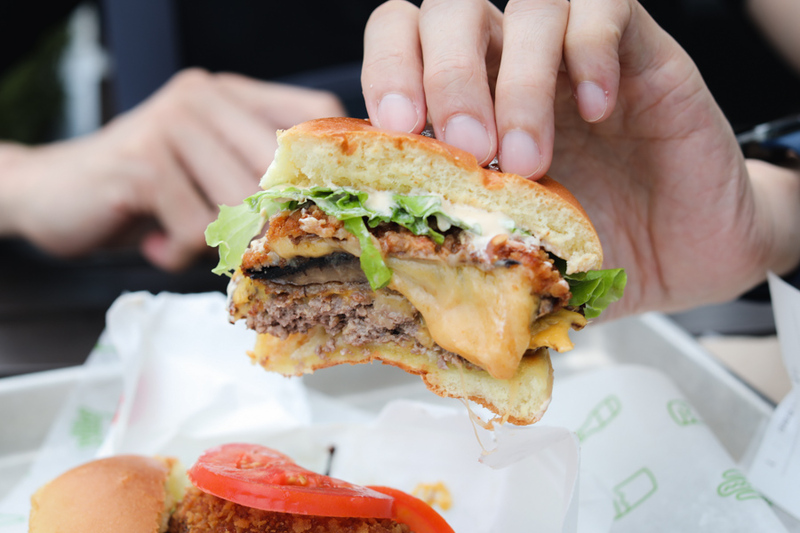 As I wanted to try something different from what I was used to, I had the Shack Stack (12,900 Won, SGD15.30), a burger which combined both cheese and shroom burger with lettuce, tomato and ShackSauce. It is not cheap in any sense, and makes me wonder of Singapore’s eventual pricings. As for the beef patty, something felt missing – it wasn’t as flavourful and greasy as those I tried in the US. 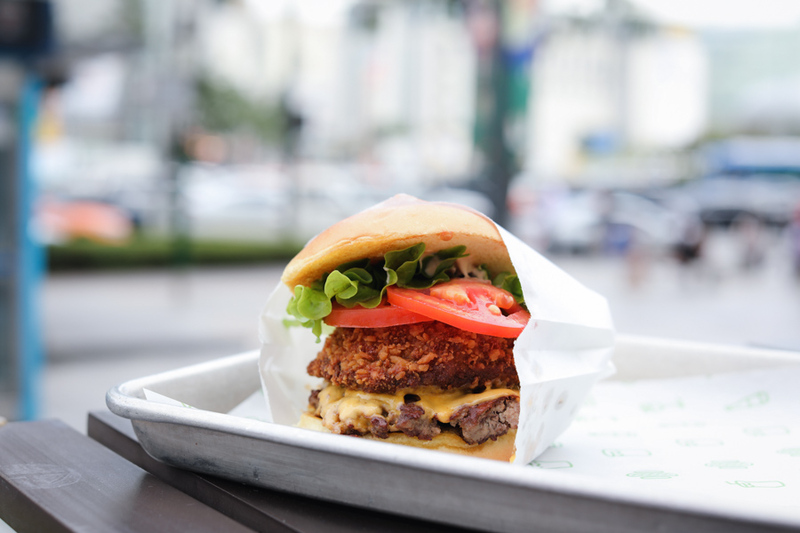 If you have yet to try Shake Shack before, there may be a part of you that feels it is overhyped. Though I would still think it is still a decent, impressionable burger, though on the pricier side.